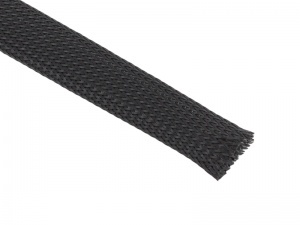 For sleeving ' By the metre' please enter the number of metres required in the qty box and this will be supplied as a continuous length. 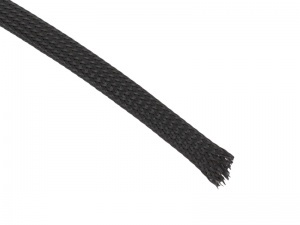 Lightweight, expandable braided sleeving ideal for bundling cables and offering durable protection against abrasion. 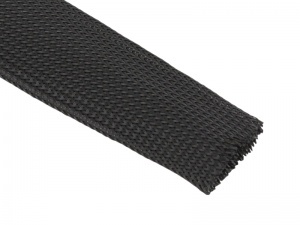 This sleeving has an especially high working temperature of 150ºC, is flame retardant, halogen free and the open weave construction allows it easily to be expanded to accommodate different loom sizes. 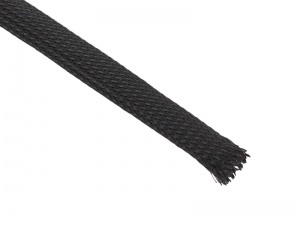 It is also easy to thread cables through the weave, enabling you to 'break-out' from the main loom. 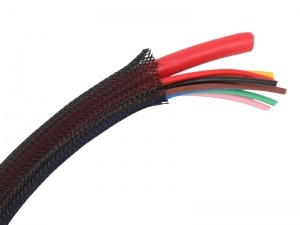 Available in various sizes from 3 - 35 mm diameter (contracted size). 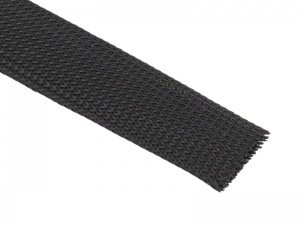 Note: The sleeving sizes quoted are the diameter not the flat width. 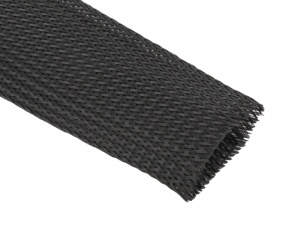 Also note that the sleeving length reduces as it is expanded across its diameter so consider this when selecting the length you require. 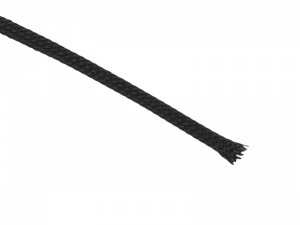 Tip: The sleeving is most easily cut with scissors and the ends can be sealed with a flame to prevent fraying. For a professional finish use heat shrink sleeving to to cover the ends or wrap with PVC tape. Thanks just what was needed.